'World’s most compact active curved array', which won a German Design Award recently, is now shipping in three variations. The new CURV 500 Series of portable array systems from LD Systems in now shipping. 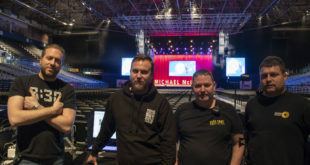 The result of three years intensive development, the LD Systems CURV 500 is the world’s most compact active curved array, according to the brand. The range comprises the CURV 500 AV Set (380W RMS, 122 dB max SPL), Entertainer Set (460W RMS, 128 dB max SPL) and Power Set (920W RMS, 134 dB max SPL). 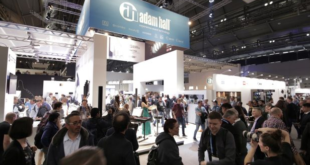 Despite the system’s small dimensions, it has been designed to use WaveAhead Line Array sound technology to deliver a high-definition sound pattern across the whole room. 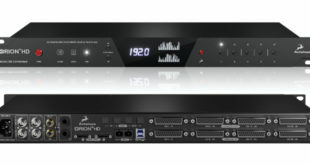 It also comes with an LD Systems SmartLink adapter for added flexibility, while the subwoofer control unit of the CURV 500 array has an integrated 4-channel DFX mixer with Bluetooth wireless connectivity, and is able to control up to eight CURV 500 satellites at the same time. The CURV 500 was also recognised by the German Design Council recently, picking up the German Design Award 2016 for its ‘overall concept’. 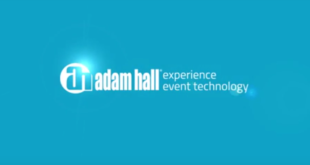 LD Systems is distributed by Adam Hall.